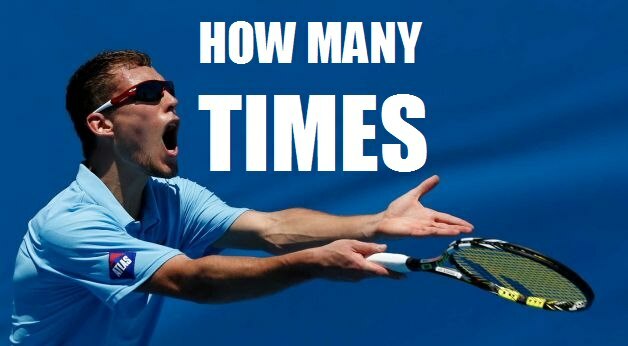 Federer winning another tournament without facing a top 10 player. Poor Kyrgios, he only had to beat 3 Top 10 players + Wawrinka for his ATP500 title. Whom did djoker beat for his Shanghai Crown?? Tsitsi will hit the top-10 the on the day afterwards on the Monday? I loved that old video however , JJ & his infamous dropshots! Tsitsipas effectively became no. 10 before meeting Fed in final though rankings would be revised tomorrow. Credits to him. Probably the toughest draw to win an ATP 500. Nadal_Django posting another troll thread without being banned from the TTW.How many times ? And he'll earn the same amount of points as Federer for his tournament win. Doesn't seems fair isn't it. Just posting facts dude. Sorry if i hurt your feelings or something. LOL OP, at least be a bit more creative. Weren't you the one singing the praises of Coric and Tsitsipas, only for them both to be straight setted? Would have gotten a better draw if he didn't tanked so much and earned few points to get a decent seeding. Considering his past, it seems fair. Been a tough week, I know. 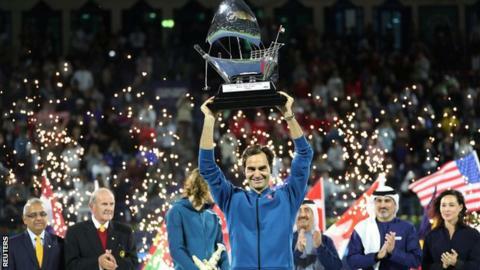 Has Federer ever won a slam without facing a top 20 player? Nadal has, and that isn’t even counting his slam results when narrowing the criteria to top 10. Has to wait for clay to come around. Jerzy Jano' had this hilarious post match interview after a Wimbledon match quite a number of years ago. He was sweating whilst stuttering & nodding his head incessantly throughout the interview.It was like someone was doing something to him beneath the camera , it was so funny. But i cannot find it anymore? No feelings hurt dude, the problem is you are always looking for something to diminish Federer's achievements instead of giving credit.Better stay classy like others do. Why exactly Federer winning the title without facing top 10 players (technically) is a problem when 3 top 10 players just lost to a guy ranked 72? Op stop hatin, life is short. I disagree. Nadal_Django is a balanced poster that usually post facts. Scrapping the bottom. If that's your justification....Jesus! If the Top 10 players had beaten the people they were supposed to, than this would hardly be relevant. Silly post. Bashing fed no way what the situation is. If it's your justification.......Mahadev!! Well, someone won a slam without facing a single top 10 (or was it top 20?) opponent not long ago. 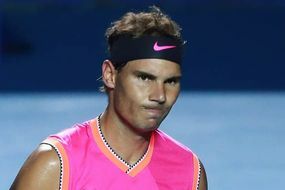 After the conclusion of the final point at the 2019 Dubai ATP event. Top 25 actually. And fan of same "someone" who won Slam without facing Top 25 player is upset when Fed wins a minor 500 tournament without facing Top 10. I could've sworn he defeated Anderson and Zverev along the way but perhaps my memory is deceiving me. Were Anderson and Zverev top 10? If the draw had been Marterer, Millman and Simon, he would never have made it to Zverev. I just checked and yes, they were. 2 actually: no8 Anderson and no5 Zverev. That's a good point. Roger's really calculative. Or, he just doesn't like nachos.